On one of the sunniest days of the month, Emma and Chaz, walk up to the top of the Cambridge Kendall Rooftop Garden. No one else was there, except for my assistant and I, who (I hope) seemed like we were in deep conversation about Snapchat. 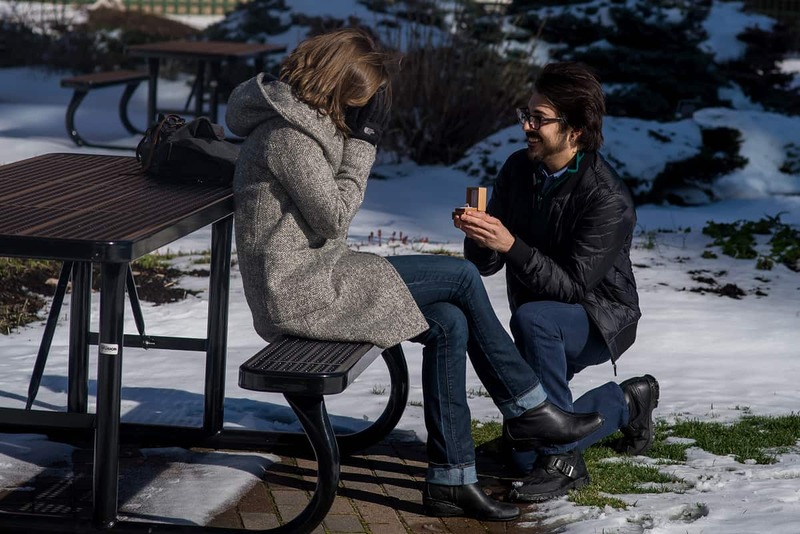 Chaz reaches behind Emma to grab something from his bag, a ring box. He opens it in front of Emma and asked her to marry him. 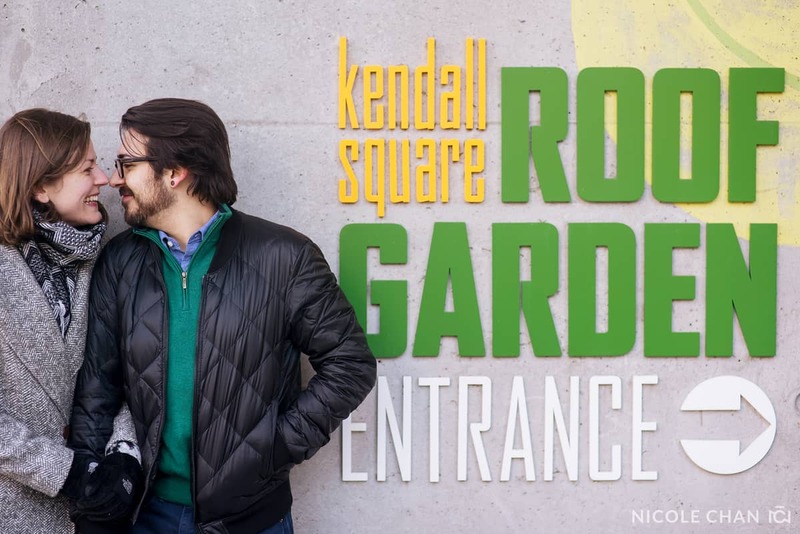 Chaz, thank you for inviting me to photograph your Kendall Rooftop Garden Cambridge marriage proposal! It was a beautiful winter day and I am so happy to have been able to create these images for you!